Leah's Crafty Life: Thank you Beary much! Look at this darling new TI image for only $1!! Have you joined Tiddly Inks group on facebook yet? I love all the sharing that goes on there... and let me just HINT IN CAPS..
that Christy shared with us! 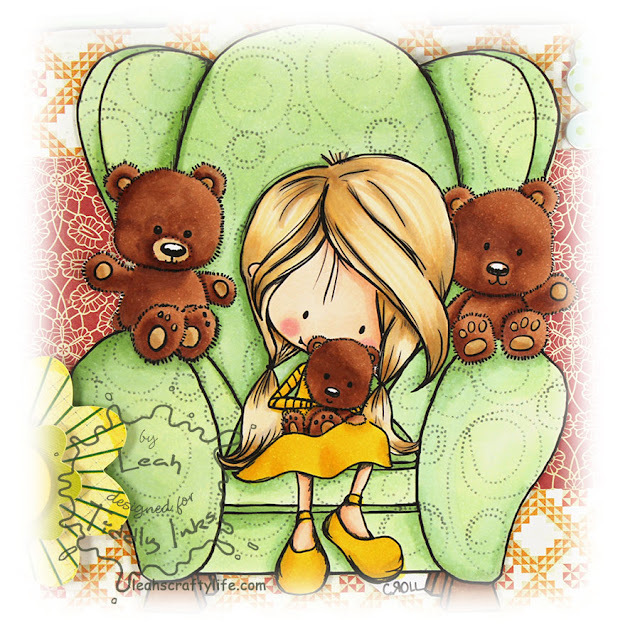 The little bears and that over-sized chair make me happy! Hope your saturday has been fabby!! Sooooooo cute cute cute! I loveeeeeeeee the colors and those ADORABLE BEARS!!! aww I love this Beary Much..
Ooo, heading over to FB now! I love this image, bought it the same day it came out! (can't beat a buck!) Love what you did with it!!! he he he he!! she is way too cute leah and the way you did her little bears is so awesome hun. I am so glad you have power again too. 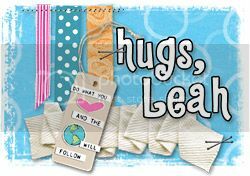 Gorgeous card, that image is just adorable and I love the layout and the colours you r have used..